The new collection from Fourstar is here. With some hidden additions that you'll have to look for! Keep your beer cold with a Damage can coozie. Shop ripper Carter Nguyen is down with the Evan Smith S from DC. and a rubberized toe cap to protect high-wear areas. HUF caps to block the sun from blinding you on those sunny days. Final restock on these LIMITED Thrasher T's & Hoods!! 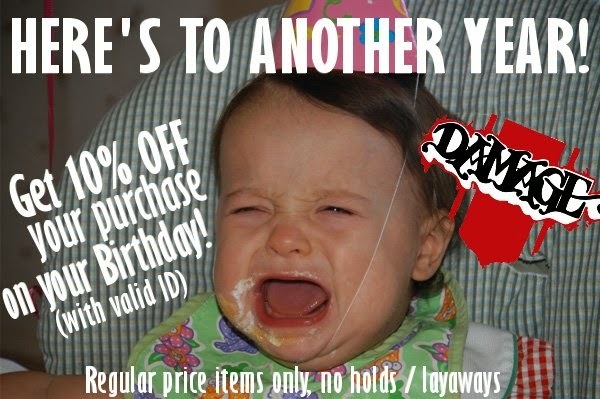 Buy any 3 tees get 1 FREE or buy 1 hoody and get a second 30% off. A great looking HUF x Chocolate collaboration. Grab your pick before you head back to school! For only $125 this complete could be yours! Stop by the shop today and watch the release of Peter Hewitt's new Spitfire part and register yourself for a chance to win a FREE set of Damage x Spitfire Formula Four wheels! buy one flannel, button-up, or hoody and get your second one 30% off. 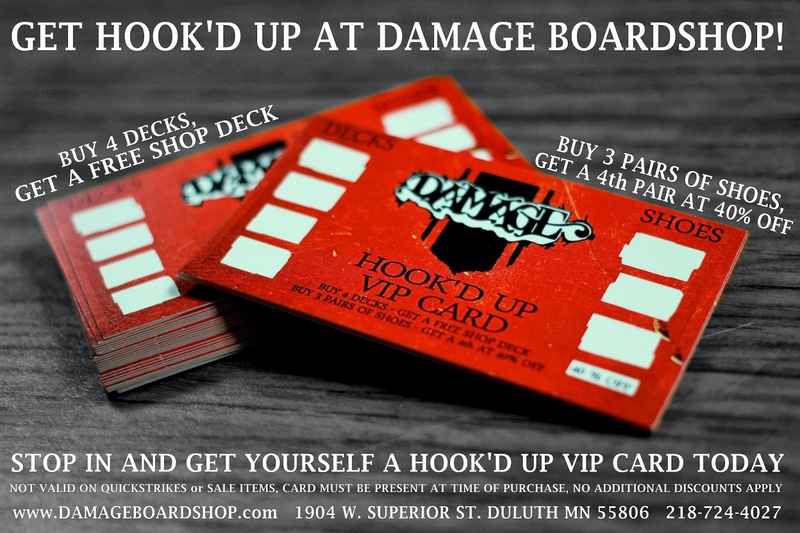 Public Snowboards dropping soon at Damage Boardshop. With the weather getting warmer, beach days are going to rack up. Be prepared with a proper kit. Tanks, shorts, and beach bombers are all available! Damage x Spitfire Formula Four wheels. The Supra Vaider featuring an all black premium leather upper. A must have for the weekend kit. 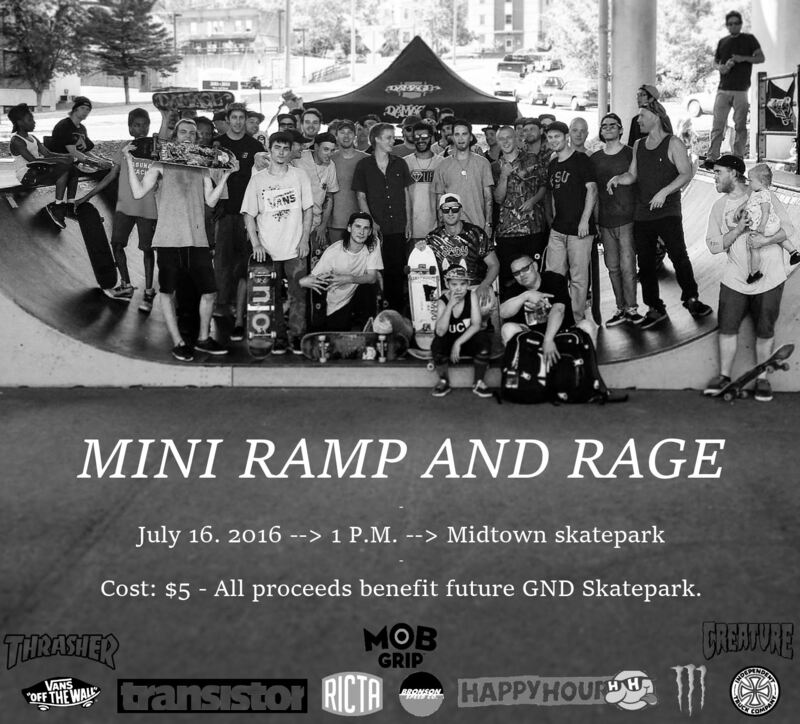 Mini Ramp and Rage Recap. for Mini Ramp and Rage on Saturday. 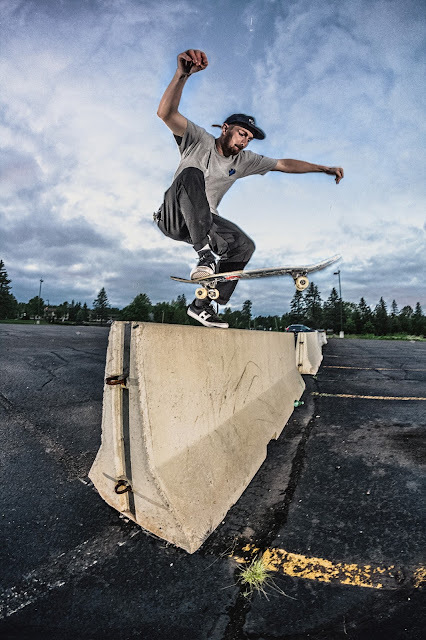 Every donation received for Gary Recreation Area gets us that much closer to a skate plaza! it was finally decided that these dudes ripped the hardest. Ricta, MOB, Happy Hour, and Bronson Speed Co.
for hooking up all of the goods. Here are a few clips of the day put together by Eric Christopherson. Full restock on the best bearings for the price. Crews, tees, and tanks are all available with our EST. 2005 graphic. A few new boards from Flip. The Check Solar from Nike SB has an all suede upper with a reinforced high-wear area and an ultra-soft midsole for durability and comfort all day. of regular priced shoes you'll get 40% off! Full restock of the goods you need from BONES. Team ripper Stephen Pestalozzi skates Annex. What kind of deck do you ride? Stay up to date with the latest from The Skateboard Mag. The Koston Hypervulc has a locked-in feel, sensitive cushioning, and a flexible outsole. This provides you with the best impact protection and cushioning a shoe can have. Creature skateboards in a wide variety of sizes. A timeless style with our Minnetallica graphic. Now fully back in stock.